Great location, room was large, had everything we needed and had a great view although the unit could be cleaned a little better....mainly the bathroom but over all very happy. Lots of pools, onsite restaurant was great and lots to do. Please note this is a timeshare resort so they do try to get you to do the tours and you have to allow time once you arrive to “check in” with the airbnb booker at a travel center/ticket selling location and then travel to check in at the resort...this took much longer then planned unfortunately we lost most of our day to this. We had a rental car so this was not an issue but if you had planned on Uber it would have been costly. But now we know we stay again we will just plan our time better. Thank you so much for the excellent review! Nothing pleases us more than knowing we were able to provide you with a stay that met all your expectations. We are honored to have had the chance to serve you, and we hope to see you again soon. We loved our stay at Westgate! 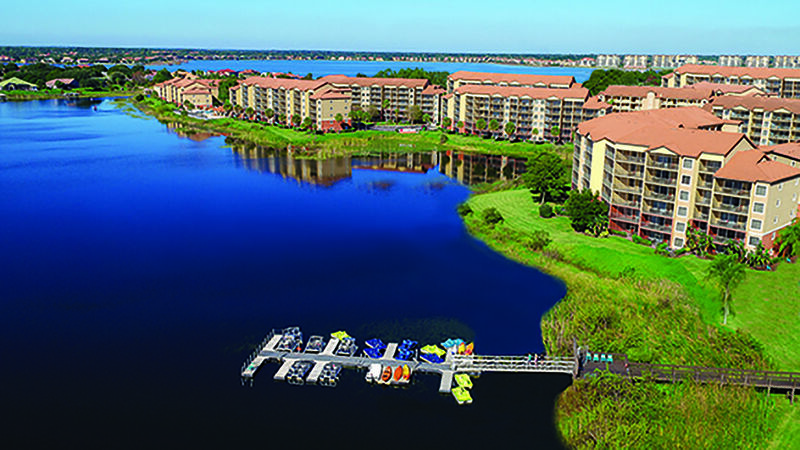 The condo was beautiful and the location is perfect, close to Disney and many great restaurants. We appreciated the daily maid service. Would definitely stay here again. Thank you for reviewing us. It is great to know that you enjoyed our comfortable unit. We look forward to your next visit! We were there for the AKC Nat'l Championship Dog Show so were out early and in late. Our dogs were accommodated and it was a good place for them to get away from the hubbub of the show - plenty of grass for ex-ing although few outdoor trash cans. Very quiet environment, Staff and Property Owner were exceptional - friendly and helpful. Parking was tight. Room showed signs of wear. Sofa had damage from general wear and tear, was too uncomfortable and "used" to sleep on - instead we chose to share the king bed that was firm and comfortable. Carpet could have been cleaner, needed hooks in bathroom which had limited counter space for two women to share! Overall it was adequate for our needs. Might stay again, might stay elsewhere. Beware: many fees added on top of actual room price - Stay tax ($32.12), Pet fee ($170), Service Fee ($56) and a sneaky Resort Tax ($23.76). Also, a Surprise deposit of $50/dog on arrival which I anticipate will be refunded. Pricier than a hotel. Need to weigh the advantages / disadvantages of staying off site, although this was close to the Convention Center - 3-4 miles away. Deborah, thank you for your review. We are happy to hear that you appreciated the service provided to you by our staff. We do hope that any issues with your room accommodations were brought to the attention of our staff so we could try to address this for you. We will use your feedback on our staff to continue to improve our services and guest satisfaction. We invite you back, and we hope to exceed all your expectations on your next visit to our property. Loved the resort and the location is so close to EVERYTHING. The condo was beautiful! Priced very well! We sincerely appreciate your recommendation and truly hope to get more chances serve you on future visits. We are happy that you had enjoyed your stay with us! We hope that you can visit us again soon!